Want to change the front page of your PDF from the default Boords logo? Just follow the steps below. Note: PDF exports are available only on Plus & Team plans. 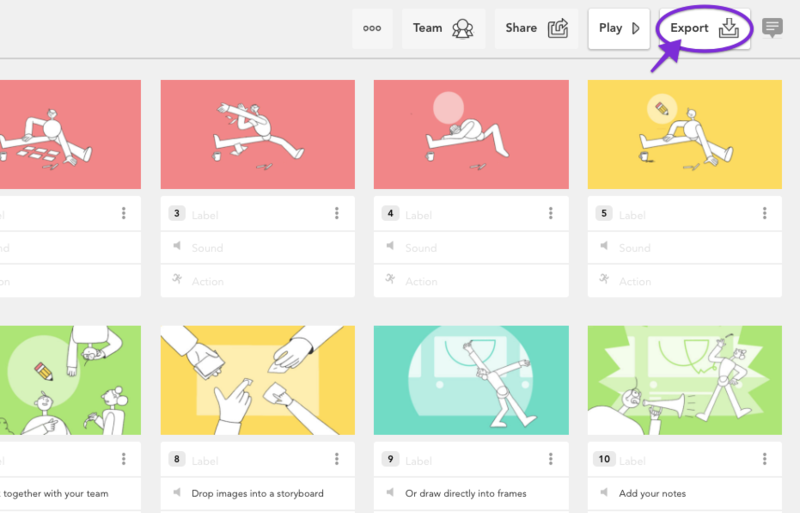 If you currently have a Free plan but would like to export your storyboards as PDF files, you can upgrade here. 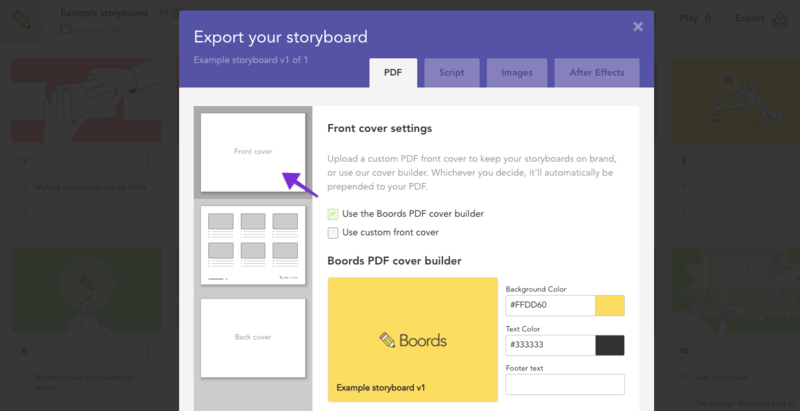 First, head to the PDF Exporter by clicking Export on your storyboard. Open the Front cover tab in left-hand sidebar. 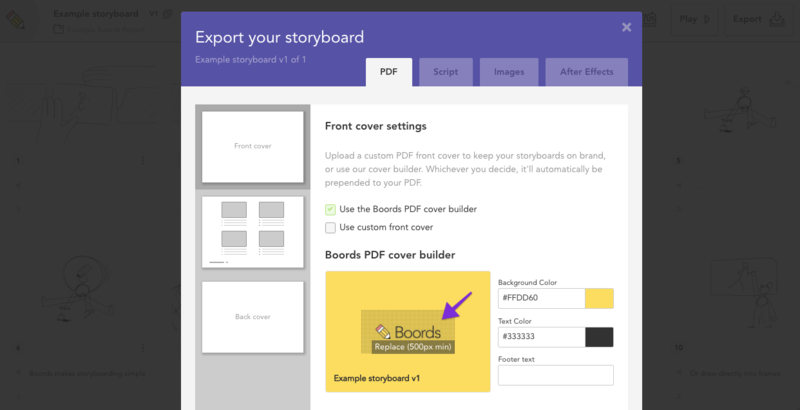 Tick the Use the Boords PDF cover builder option. Then, change the background and text colours to create your own personalised cover page. Click the Boords logo. You can now select and upload your preferred image file in the pop-up window. Make sure the image file size is less than 2MB. ☝️ Note: To read about custom front & end covers, check out this article.